The Tiopa Tlanextli "Sanctuary of Light" Community and Health Centre is an institution created for the purpose of supporting the most vulnerable people in Autlán and its region. The Tiopa Tlanextli “Sanctuary of Light” Community and Health Centre is an institution created to support the most vulnerable people in Autlán and its region, who have poor access to public health and education services. Currently the institution has two buildings health and cultural center. In the health area, we have the following services: General Medicine, Pharmacy, Dentistry, Psychology, Social Work, Nursing, Nutrition, Laboratory and Analysis Clinic, and an Ambulance Service. With these services, we are improving the quality of life for our patients by offering complete health care and providing our patients with high quality services at low cost. 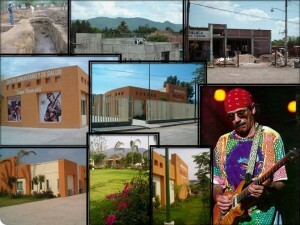 The Cultural Center has a public library in agreement with CONACULTA (National Council for Culture and the Arts), a research center and computer center.